Thanksgiving is an American holiday, right? Yes, our Turkey Day is said to date back to 1621 when the Pilgrims first feasted with the Native Americans in Massachusetts. However, the spirit of this holiday can be felt all over the globe. How do people from other countries celebrate the essence of Thanksgiving? Here’s what I’ve seen. PAKISTAN~ I visited Lahore, Pakistan during the Basant Kite Festival in 2001, and I was amazed at how friendly the people were. I believe the spirit of Thanksgiving is about opening your heart to others, and the Pakistani people I met truly embrace that philosophy. 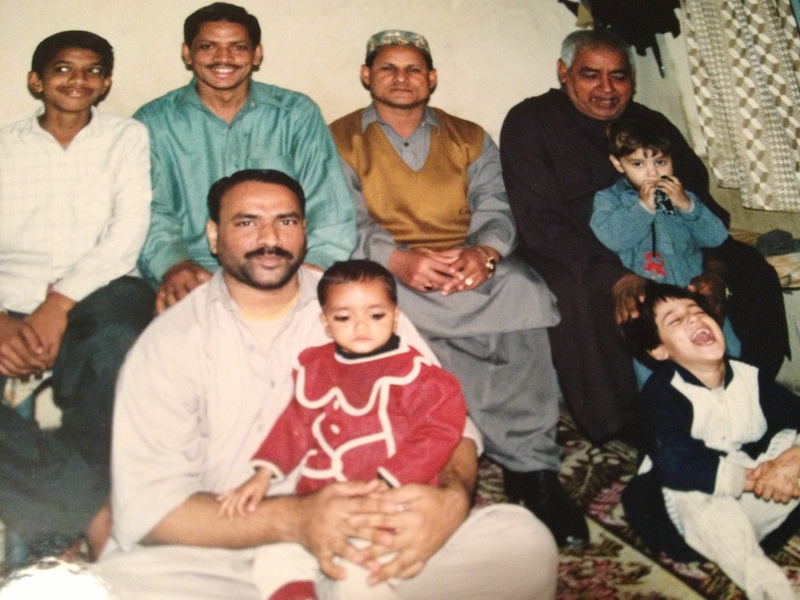 The family shown below invited me into their home for tea after I bought some clothes from their shop. Other people I met offered me gifts because I was a guest in their country, and several invited me to local celebrations. CHINA ~ Chinese people celebrate a Mid-Autumn Moon Festival which is a time for them to get together with family and friends. 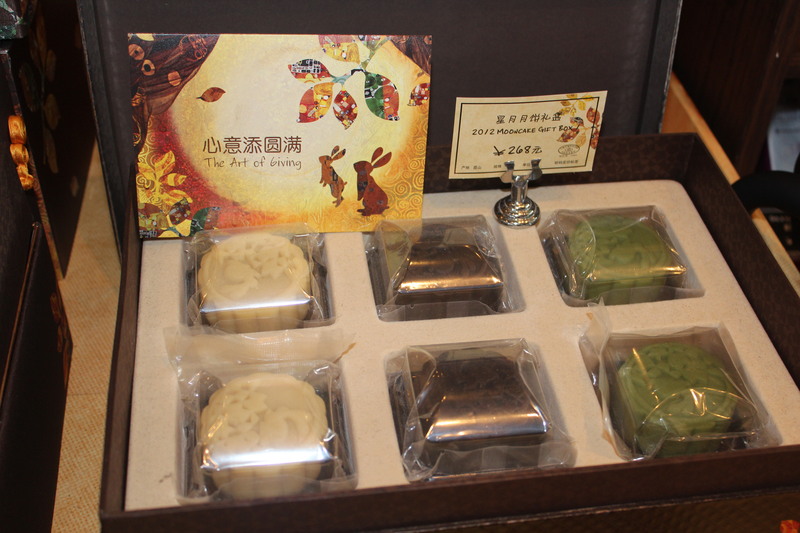 It’s also traditional to give moon cakes to others, like these ones which were for sale at the Starbucks in Shanghai. 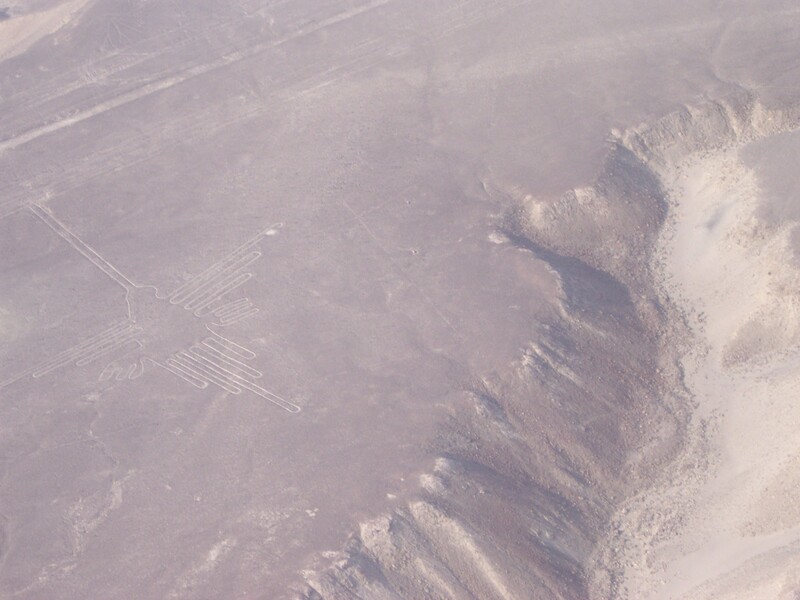 PERU ~ The Nazca people who used to live in Peru etched pictures of animals into the desert rock, and when I was there in 2005 I got to fly over to check them out. Below you can see the hummingbird if you look closely, but there are many more pictures of animals. The whale, spider, and monkey are my favorites. Nobody knows exactly why these were made, but there is no doubt that these people had a deep appreciation for their natural world. CANADA ~ Our neighbor, Canada, also celebrates Thanksgiving, but it’s not the same as ours. It happens a bit earlier, in October, and has a different history. I went to Montreal a few years ago and celebrated Canadian Thanksgiving for the first time! We lucked out with perfect weather, unseasonably warm for the Fall. 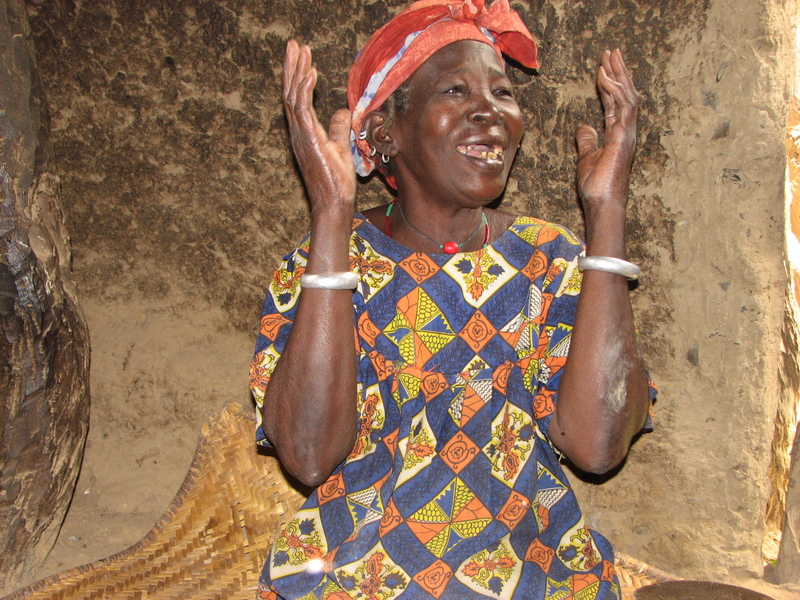 MALI ~ Sometimes the people who have the least are the most grateful. “Dogon Country” is a region in Mali (West Africa) where people still live very traditional lifestyles. Even though the people don’t have a lot in terms of material goods, they seemed to be very happy. WHERE ELSE? Have you seen the spirit of Thanksgiving in other countries outside of the U.S.A.? Do you celebrate thankfulness in another country? Share your stories in the comments on this post! Happy Thanksgiving to all readers, near and far! 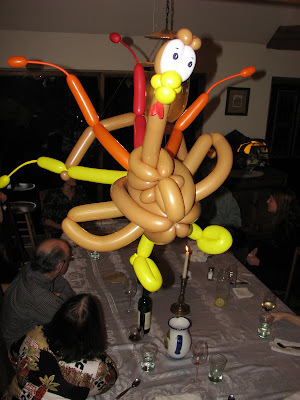 I love your balloon turkey!! It’s cool!! I had no idea Thanksgiving was celebrated all around the world, I thought it was only an American holiday. But seeing other people around the world celebrate it too is really cool!! I like how the Pakistan people are really kind on Thanksgiving. What was the history of the Pakistan Thanksgiving? When I think of barbecue, I think of people roasting a lot of meat on a grill. 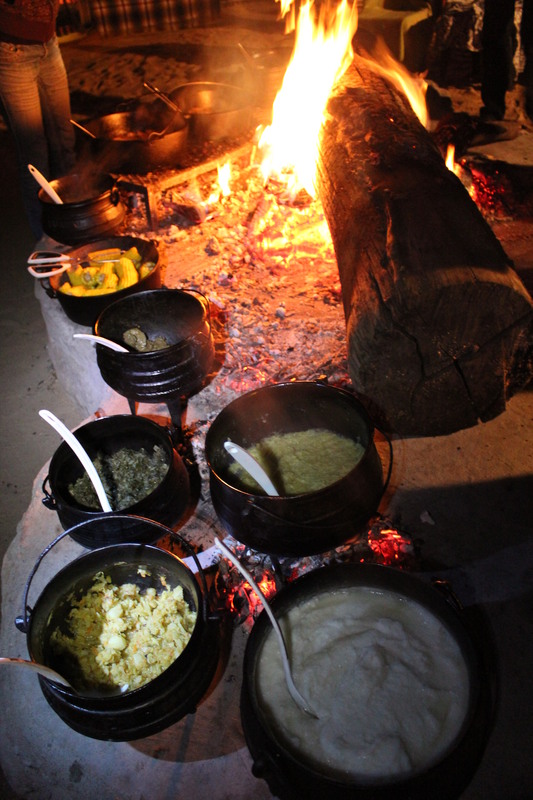 How come the braai in South Africa looks different? Nonetheless, they all look good!!!! 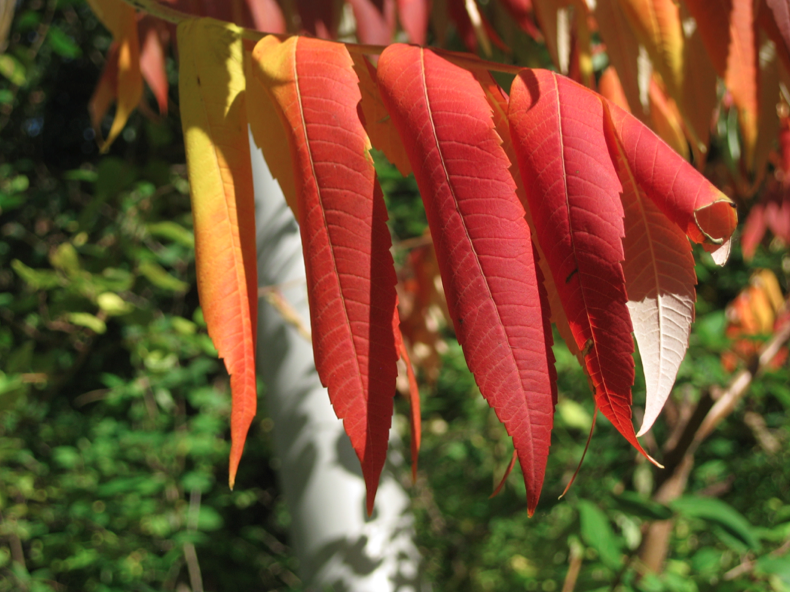 The picture of the red leaves for Canada is cool!! How is the Canada Thanksgiving celebrated? Is it different from ours? If so, why? How come the Canada Thanksgiving is on a different day? How was the first Thanksgiving feast started? Was it same as ours? If not, what was the first Thanksgiving feast like in Canada? What’s the history of Thanksgiving in Canada? P.S. How was your Thanksgiving, Ms. Krakauer? Did you have fun? Did you invite friends and family over? My Thanksgiving was pretty good! !